Freda Mae Crites, 89, of Marble Hill, MO, died Tuesday June 26, 2007 at the Eldercare in Marble Hill. She was born Feb. 15, 1918 near Lutesville, MO, daughter of Adam and Delphia Spears James. 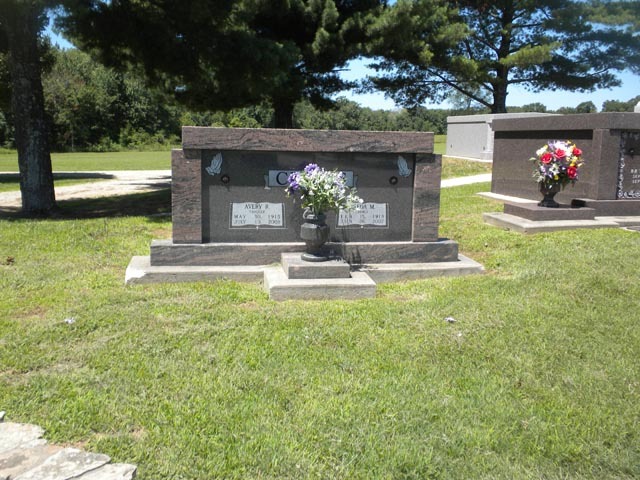 She and Avery Crites were married June 1, 1935. Mrs. Crites was a homemaker, a retired manager of the school cafeteria and a member of the Marble Hill First Baptist Church. Survivors include her husband Avery Crites of Marble Hill, one son Larry (Liz) Crites, Cortland, OH two daughters; Joan (Chuck) Grant, Sikeston, MO, Faye (Mike) Seabaugh, Mountain Home, AR, eight grandchildren and fourteen great grandchildren. She was preceded in death by; one brother, Lindell James. Visitation will be Thursday 4:00 to 8:00 p.m. at the Liley Funeral Home in Marble Hill. The funeral service will be Friday at 10:00 a.m. at the funeral home chapel with the Rev. Fred Ritter officiating; entombment will follow in the Crites family mausoleum at the Bollinger County Memorial Park Cemetery.